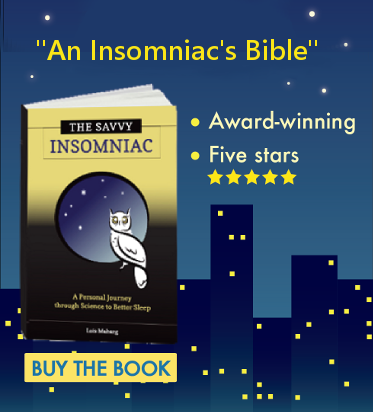 NextDoes Insomnia Carry a Social Stigma? I’ve blogged about various ways to improve sleep, but one small change of habit I’ve mentioned (Clocking the Hours at Night) deserves more attention. You’ve Heard of the Paleo Diet? I’d like to propose that all of us who worry about not getting enough sleep adopt a more Paleolithic approach to the night. I’m not suggesting we should sleep communally or in caves or anything like that. I don’t assume our distant ancestors experienced less stress and anxiety and therefore slept better than we do. They didn’t have jobs or mortgages to worry about . . . but they were mincemeat if they didn’t worry about predators and human enemies at night. The idea that they slept more peacefully than we do is probably a myth. Yet one thing our Paleo forebears almost certainly did not worry as much about was time: time enough to do everything that needed to be done during the day, and time enough to sleep at night. Back then, the concept of time as measurable except through natural phenomena—the alternation of daylight and darkness, the waxing and waning of the moon, the changing of the seasons—likely did not exist. People worked as long as needed to complete a task and they slept when they felt sleepy. End of story. But time began to be measured in hours and minutes, and associated with work and money, with the introduction of the clock in the merchant economy that arose in Europe in the fourteenth century, Summers-Bremner says. The Late Middle Ages is when mention of time- and work-related sleeplessness began to crop up in works of literature: something resembling our experience of insomnia today. 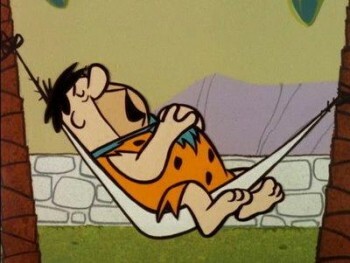 We can’t actually approach the night with the mindset of a Fred Flintstone. When we think of time we think of a clock ticking away, constantly moving forward by minutes and hours. And every passing second shrinks our sleep opportunity down. But if we can’t adopt a Paleo mindset with respect to time, at least we can take care to avoid staring time in the face. We may not be able to turn back the clock, but at night we can turn our clocks to the wall. Resisting the urge to glance at the clock may not be as easy for every insomnia sufferer as it sounds. But take it from one who’s been there: it cuts down on anxiety about sleep. Do you watch the clock at night? 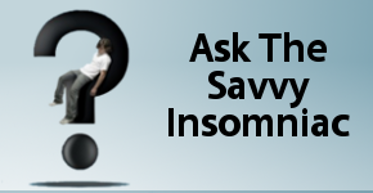 Do you think it affects your sleep in any way?